When news first broke that the Rivers of America would be getting shortened to accommodate the new "Star Wars" Land expansion, there was a lot of uproar over the audacity to change an attraction with Walt Disney's literal fingerprints upon it. Neverminding that the Rivers had actually been touched previously, the general sentiment was that any opening day attraction was sacred. Plus, what would become of key, beloved sites along the land, such as the burning cabin or the Native American village? 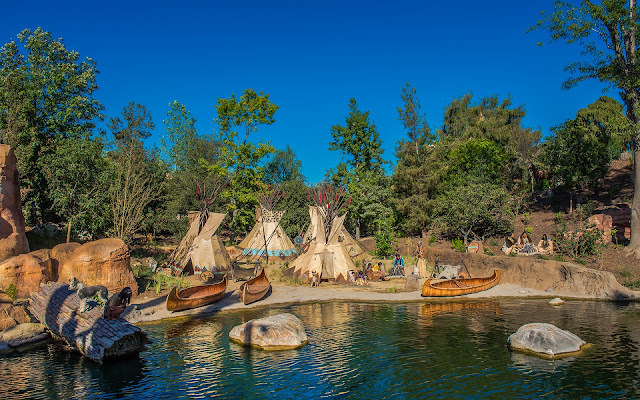 Well, the Rivers of America alteration ended up being significantly less than what was originally rumored, and it's brought upon a lovely new riverfront ambiance to the area. 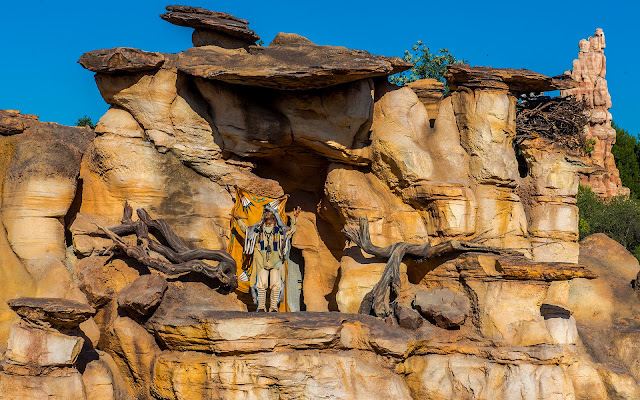 And it has retained recognizable features--mostly notably the Indian Village located on the far side of the Rivers. 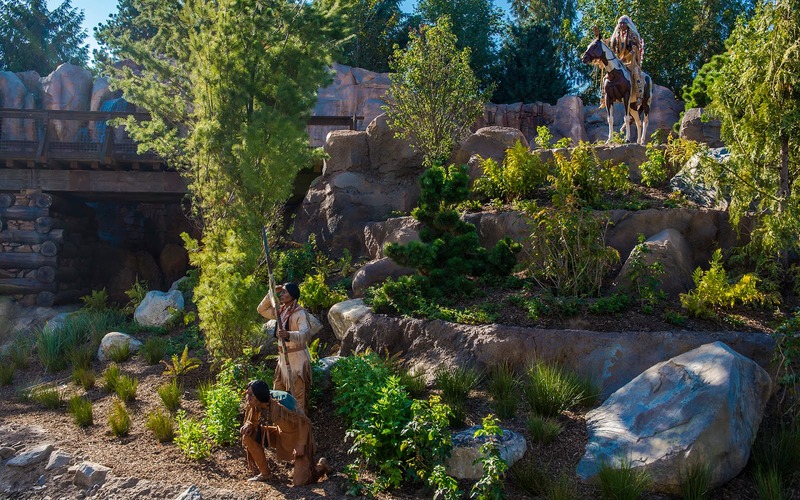 Still present is the Indian Chief giving a sign of peace, though he is joined by two scouts along the river bank below. The actual village itself has been relocated a bit further down the river. The shaman who tells the story of how the flute was made now occupies a tall stage of rock well above the water, and just past him, the tribe of Plains Indians has settled in for the next several months. 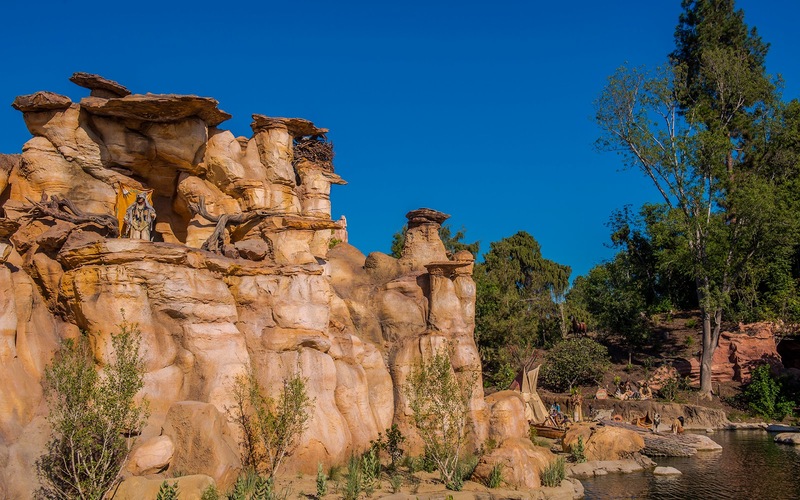 The result is a respectful and fitting renovation of a classic scene in Disneyland lore. 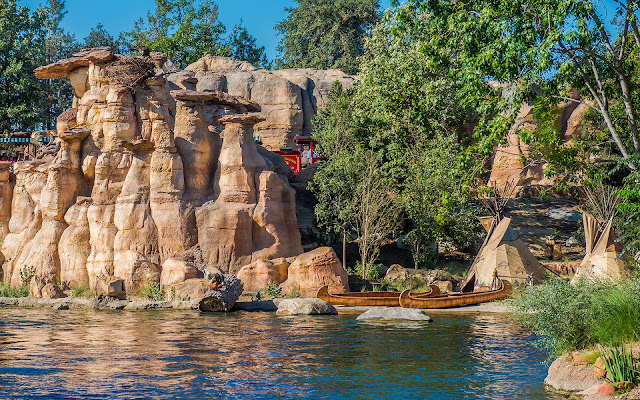 I think the entire renovation of the Rivers of America has been quite nicely done, and the backdrop will only become more dramatic once Star Wars: Galaxy's Edge is complete. Imagine the legends that will be told once that happens!